Custom, one-of-a-kind pools for superior homes of distinction. Designing and building custom pools since 1979, Lone Star pools is one of the oldest pool companies in Montgomery County. 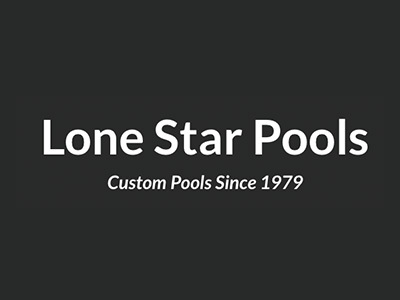 Serving The Woodlands, Conroe, Magnolia, and the surrounding areas for over 30 years, Lone Star Pools has earned a reputation for craftmanship and dependability. This is reflected in the fact that most of our pool business comes from referrals. Lone Star Pools is not a mass production builder. We take great pride in building a limited number of pools each year. Every project/pool is supervised by the owner, Rocky Kirk. With over 30 years experience in the pool industry, you can rest assured that it will be done right the first time. We would appreciate the opportunity to discuss your upcoming pool construction project. Please contact us for a FREE no-obligation appointment to discuss the construction of your new pool! Call Lone Star Pools today!